When Disney Channel was deciding on the star in the HANNAH MONTANA TV series, one of the executives wanted my opinion about a young girl they were considering casting as the lead. I had no involvement with the series or the young girl but they wanted me to use my “Dray Meter.” The executives at Disney Channel wanted to know, does she have “it”? Can she be a star? What do you think? “The Suite Life of Zack and Cody” was already on the air and was one of her favorite shows. Of course, I loved that! 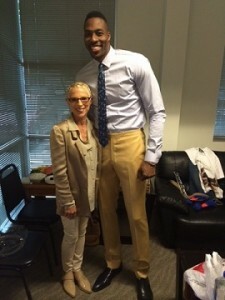 So I invited her to the set of our show to meet her and to apply my Dray Meter. Once she arrived on set, I opened my arms out wide and gave her the biggest hug. It was right then and there that I saw “the magic”. She was fearless, very confident, personable and willing to work and learn. We spent time together talking and laughing…I felt her star power immediately. She was warm, engaging and ambitious, but underneath it all was a real Southern Girl who wanted to be a kid star badly. She knew where she belonged and she was ready for it. My report back to the powers that be was… Make the deal with this young girl! She is going to be huge… so, the star of the show? None other than Miley Cyrus. Talk about FABULOUS! Miley never misses a beat to let people know when I am in her presence that the call I made to the Disney Channel executives was the final factor in getting her the job and jump starting her rise to stardom. Added to delicious and my blog. Thanks for the info. Hi Ian – thanks for adding us to delicious and to your blog! Keep checking back…more blogs to come. i know this isnt the place to say it but how can i get more info about every thing dray???? By going to thedrayway.com! Learn more about me, watch my very helpful 6 free video webinars about subjects ranging from how to audition to dealing with rejection to your image. And learn about my current Dray Kids featured on the site. Wanna Be a Dray Kid? Enter the Facebook contest and you could win a free Skype session with me. Watch the video on how to enter on the homepage of the site. Or book your own Private Skype Session…ask your parents to help you sign up. Keep coming back! So I want to be an actress on any show in the world. How could I possibly meet up with you or have any connection without a video cam, since I do live across the country? How could we possibly do any business? Can you tell me bluntly if I could still be an actress, living hundreds of miles away in Delaware? I want to become a singer/actor,but i can’t because i don’t have enough money and i also can’t post videos on facebook to win a free scype session.What can I do? Dear Tabitha – do you or your friends have an iphone or a video camera on their phone? If so, you can participate in the contest. Or do any of your friends have webcams on their computers? We are planning to offer Holiday Prices for the skype sessions on our Facebook Fan page, http://www.facebook.com/thedrayway. Announcements about the sale will be made very soon! I really want to have a chance to become a actress/singer, I don’t have the money for it. I was hoping theres another way to video chat. I am aware about the contest 🙂 but I can’t have a facebook. I really need help being able to talk to you. Also, Do you need to have alot of expiernce, I haven’t had lesson I have never auditoned. So if you think i should try somthing else first I will.. I am 15 years old and ever since I was little I wanted to be an actress of any kind. I do get nervous when I am in front of a group of people(even if I know them), but when I am with my friends and/or family I am very sociable and upbeat. I really want to be on television and make the world smile like so many actors do to me. However, I do not want to talk to my family about it just yet. I want to have faith in myself before talking with them and I want to know that I can do it from someone like yourself. What should I do? Hi Dray my name is Dorresa Jackson & I am really interested in acting in fact I am going through the process of starting off my acting career but I am somewhat shy and I tend to get scared because I am afraid of failure and rejection! I am afraid that I will get on stage and not know what to say, I really am interested in taking my creative side to the next step however I feel as if I will blow it and will not get another chance like this. I was that is if you do not mind could you give me any insights on how to get over stage fright because I don’t want to embarrass myself once I am on stage. Your website is fabulous and this is my dream to become a star. You seem so nice, I would love to meet you someday. I am working on my new website. I would love for you to see it. I am also planning on taking some of your lessons. Hey yall i want to be a star real bad.i came over the fear of stage fright and i understand many things to know not to be nervous.i have been in many plays at my church and i know when to act serious.i practice my skills on imagination. Hi Tamarie – book a Skype session so we can talk about your career and I can give you the advice and coaching you need to get started. Also, watch my free Webinars on the site. The 6 videos will help you greatly. You can also go to The Dray Way FB page and upload a video for the Wanna Be A Dray Kid Contest. The winner wins a free Skype session with me! Best of luck and hope to speak soon! Hi my name is callie i am 10 years old and i want to be an actress i think i got what it takes! !but i would probly want to be on disney channel.I will be a little embarrassed when i started if i get there but i think i would get used to it.I have not tooking any classes or anything i donty know what to do first i have good grades,and i really want to be an acter,but i dont know how to get to that point!!! Dear Callie – that is why I have my Skype sessions so I can help you and your parents get started. My first piece of advise to you would be to watch my 6 Webinars – the free videos on my site then start auditioning for local productions in your area, theatre, school plays, take acting lessons, dance lessons – make the most of what the arts can offer you at home. Hello, I would like to be a Dray Kid but my parents are a little reluctant about it. Do you have any advice that I could possibly pass on to them that would help them possibly let me have a skype session? Dear Lindsay – have your parents watch the 6 Free Webinars on the site and the video on the homepage so they can understand what you and your parents will get out of booking a Skype session. These videos should answer any hesitations they might have. Thanks for reading and hope to talk to you soon over Skype! hi!,I like your writing so much! share we communicate more about your article on AOL? I require a specialist on this area to solve my problem. May be that’s you! Looking forward to see you…..
Great day, A really occupying document. Continue it up. hopefully this comment doesn’t appear multiple times (it seems to freeze once i try to post my comment.. not sure if it’s actually posting), but all I really wanted to say was fantastic post and thanks for sharing. keep at it man, your nearly there , thanks for the read! Interesting read. I have added you to my must read blogs list here http://www.interesting-blogs.info. It also gives you a dofollow backlink! Absolutely u got this one down correct man.. Keeped me entertained for ages. i believe you have a nice page here… these days was my first time coming here.. i just happened to discover it doing a google search. anyway, great post.. i’ll be bookmarking this page for certain. I know this is really boring and you are skipping to the next comment, but I just wanted to throw you a large thanks – you cleared up some things for me! Completely u got this 1 down right man.. Keeped me entertained for ages. Yes it is. We do like WordPress very much. Hey! I just want to give an enormous thumbs up for the great information you will have here on this post. I will probably be coming again to your weblog for more soon. We discovered your blog Wednesday and began follow your posts regularly. I have not commented on any weblog just but however I would like to. Its really thrilling to actually contribute to an article even when its only a blog. I do not even know how I ended up right here, but I thought this article was excellent. I do not know exactly who you are however definitely you’re going to a legendary tumblr if you are not now 😉 Cheers! Sorry for not furthering the discussion, but I just wanted to say thank you for the insightful post. Hi Shakeria – read the link attached to learn more of how the Skype Sessions work when working with The Dray. Working with one of the biggest producers in TV for Tweens in a Skype Session is never a waste of time. How often do you have access to Hollywood Staramakers and work with them? We appreciate all our readers! Thanks. Completely u got this one down right man.. Keeped me entertained for ages. Thanks a lot for your concern and efforts! This stuff on your website is great. Moreover I greatly value your ideas. In my position these are important details. Nevertheless thanks a lot. Good read. Thanks for your challenge together with initiatives! This stuff for your web-site is certainly awesome. On top of that That i dramatically treasure an individual’s thoughts. For me most are essential things. Anyhow appreciate it. Beneficial look over. Hi Rodrigo – We haven’t had any format problems with the blog in IE. Maybe you have an older version of IE? Can you email us back what version # you have so we can troubleshoot it? We so appreciate you bringing this to our attention! Thank you! Fantastic! Thanks for the bookmark. Hola! I’ve been following your web site for some time now and finally got the bravery to go ahead and give you a shout out from Huffman Texas! Just wanted to say keep up the good job! Thanks Huffman Texas! Keep reading! Hi! I understand this is somewhat off-topic however I had to ask. Does running a well-established website like yours take a lot of work? I’m brand new to blogging but I do write in my journal every day. I’d like to start a blog so I can share my own experience and feelings online. Please let me know if you have any suggestions or tips for brand new aspiring bloggers. Thankyou! Hi Mario – get started writing! We love WordPress. Hey the dray! :P….Just wanted to ask you do you know any good acting agents….Oh and i heard about your facebook contest im gonna enter To be a dray kidd!!! !…But instead of entering on facebook can i send a video of me like acting on stage in a play or just doing a script or something?? Hi Fatihah- If you want to potentially win a skype session, enter the contest and post your video on Facebook. 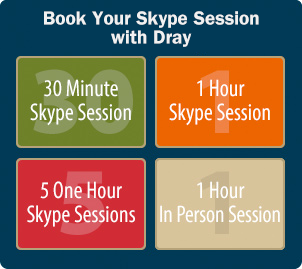 If you want to go ahead and pay for a skype session, go to http://thedrayway.com and sign up. The agent discussion is a conversation to have after I meet you on Skype. Looking forward to seeing you enter the Wanna Be A Dray Kid Contest! Very good blog you have here but I was curious about if you knew of any user discussion forums that cover the same topics discussed here? I’d really love to be a part of group where I can get feedback from other experienced people that share the same interest. If you have any suggestions, please let me know. Thanks! Other than us, the only other places to go to are Hollywood Mom Blog or bizparentz.org. Greetings from California! I’m bored to tears at work so I decided to check out your site on my iphone during lunch break. I love the knowledge you present here and can’t wait to take a look when I get home. I’m surprised at how fast your blog loaded on my cell phone .. I’m not even using WIFI, just 3G .. Anyways, fantastic blog! Hi Alicia – I suggest you download a more recent version of your browser – we have no issues on our end but we have noticed that the blog works best on newer versions of bloggers. Also, Safari is not the best browser to use if you are on Safari. Hey! I just wish to mention that i like your publishing approach and that thus Im reaching to follow your blog often from currently on Keep writing! Man! Its like you read my mind! You seem to know such a lot regarding this, a bit like you wrote the book in it or something. i believe that you will do with some images to drive the content home a bit, besides that, this is informative blog. A outstanding scan. ill actually come back once more. What a marked post! Because of you for sharing it on your site.I’ve been visiting your blog for a while in the present circumstances and I always unearth a gem in your recent posts. Thanks with a view sharing. great post,however I get some trouble in reading the last paragraph, could you please explain a little more in depth? Really fine blog post. I actually simply came across a person’s weblog plus wished so that you can say this I’ve really appreciated examining a person’s site plus posts. Anyhow I’ll often be signing up a person’s feast plus I actually hope so that you can examine a person’s site again. I have been absent for a while, but now I remember why I used to love this blog.Thanks , I’ll try and check back more often.How frequently you update your site? every week with new blogs and every day we have new videos on our youtube.com/thedrayway channel. Join our facebook.com/thedrayway and Twitter page twitter.com/drayway. thanks for reading! I simply wanted to thank you once again for your amazing blog you have made here. It truly is full of ideas for those who are seriously interested in this subject, especially this very post. You really are all so sweet along with thoughtful of others and reading your blog posts is an excellent delight to me. And such a generous surprise! Ben and I will certainly have fun making use of your tips in what we should instead do in the future. Our checklist is a mile long which means that your tips might be put to beneficial use. Many thanks for being our coach on this area. I actually enjoyed the article quite definitely and most of all liked how you handled the aspect I considered to be controversial. You’re always extremely kind to readers much like me and aid me in my existence. Thank you. I am impressed with this web internet site , actual I’m a large fan . Outstanding post, you might have pointed out some superb points , I besides think this s a really superior web page. I like your logo. I can’t master Fireworks at all. Just saying thanks will not reasonable be enough, representing the wonderful definition in your writing. I appreciate the great post you share in your articles. I’ll bookmark your blog and have my readers scan here often. Hi there, I ethically like reading your posts, thank you! Let me start by saying nice post. Im not positive if it has been talked about, but when using Chrome I can by no means get the whole web-site to load without refreshing numerous times. Could just be my pc. Thanks. We’ll look into Chrome but no one has been having any issues so far until we got your comment. We’ll look into it! Hi Kitchens – we appreciate the heads up about Chrome! We haven’t had an issue but we are looking into the Chrome issue for PCs. Try Safari or Firefox or download the newest version of Opera. Thanks for reading! When I view your RSS feed it puts up a bunch of garbled text, is the deal on my reader? Hi Gail – the RSS Feed works fine on our end. Maybe it is your reader? I’m continually excited to take a look at that blog in the evenings.Please keep on churning out the content. It’s very entertaining. Alexis – enter the Wanna Be A Dray Kid Contest on facebook.com/thedrayway. Post your video on our wall to enter the contest to win a free private Skype session with The Dray! hey is there anyway you could like come meet me? You have remarked very interesting points ! ps nice web site . “By their own follies they perished, the fools.” by Homer. Muchas gracias por tu apoyo! And you don’t have to be afraid to write to me. 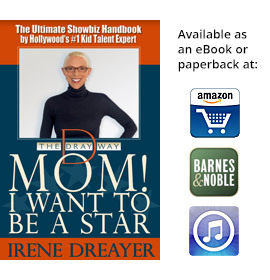 Are you interested in a show business career? Do you sing, dance or act? If so, consider entering my weekly contest at facebook.com/thedrayway. You could become a Dray Kid win a Skype session with me!